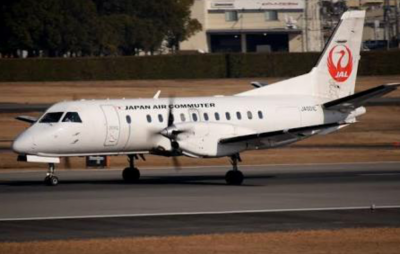 C&L Aerospace, a C&L Aviation Group company, has renewed an agreement with Japan Air Commuter (JAC) to provide power-by-the-hour services for its fleet of Saab 340 aircraft. The multi-year contract includes rotable inventory, landing gear and more, and will cover JAC’s fleet of Saab 340 aircraft. This agreement is a continuation of an original agreement, signed between the two companies in 2016. C&L, headquartered in the USA, is one of the largest Saab 340 MRO in the world and a dominant player in Saab 340 after-market support. Its comprehensive and proven Saab 340 support continue to make it an ideal partner for JAC. C&L Aviation Group is an industry leader in servicing, maintaining, and supporting operators in the corporate and regional aviation industry. In addition to aircraft and engine sales and leasing programs, C&L offers parts support, heavy maintenance, interior refurbishment, aircraft teardown, disassembly services, and aircraft management. C&L is headquartered in Bangor, Maine, with international offices in Australia and Europe. www.cla.aero. Japan Air Commuter is a Japanese airline based in Kirishima, Kagoshima Prefecture. It operates feeder services in support of Japan Airlines. Its main base is Kagoshima Airport, with hubs at Osaka International Airport, Amami Airport, and Fukuoka Airport.